Not content with making aeroplanes, Airbus has unveiled a new concept that it says could put an end to the inconvenience of traffic jams. 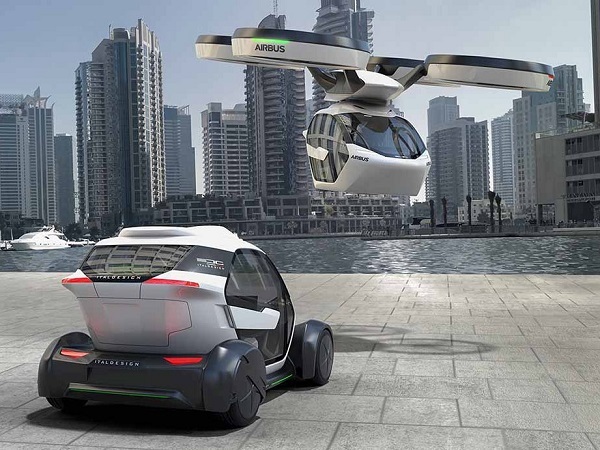 Called Pop.Up, it consists of a two-seater capsule that functions as a car but can be carried to the rider's destination by a vertical take-off and landing air vehicle when the roads are too congested. Passengers summon the capsule using a designated app, log in their destination and the app determines the best way to get there – ground, air or both. Once passengers reach their destinations, the capsule lets them exit and autonomously travels back to dedicated recharge stations to wait to be summoned by its next customer. The idea is a collaboration between Airbus and Italdesign, a design and engineering firm based in Italy, which introduced the concept last week at the Geneva Motor Show.